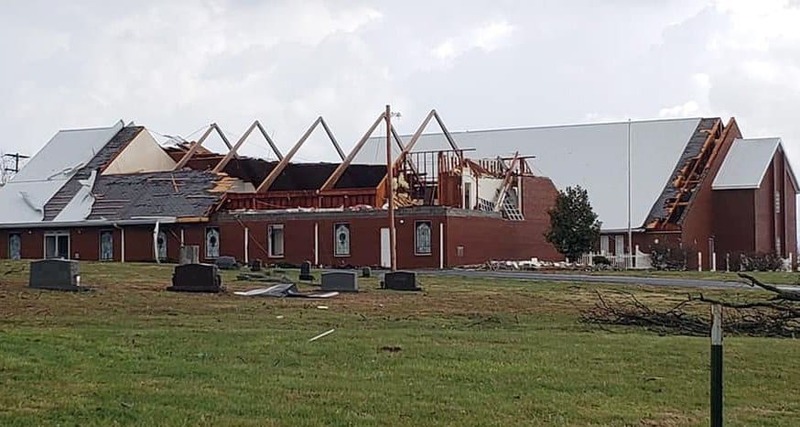 PADUCAH, Ky. (BP) – In the eye of a storm that ripped the roof off the Mt. Zion Baptist Church, preschool director Michelle Rushing found calm for herself and the 40 children who were there sheltering in place. Despite a completely missing roof and considerable damage to the rest of the church building, everyone inside was unharmed, the station reported. And despite severe damage to homes and businesses, there was only one reported injury and it was not life-threatening, police said. Dan Summerlin, the pastor of Lone Oak Baptist Church, had offered his church’s facilities to Mt. Zion this weekend. However, the church decided to have services in its Family Life Center, he said. Lone Oak is located less than 10 miles from Mt. Zion, he said.